So, for the first time since my single-digit years, I get around on a bike. I haven’t got around to putting stickers on it or attaching the tassle-thingy’s on my handlebars, but it can change gears smoothly and hold its own on off-road adventures. 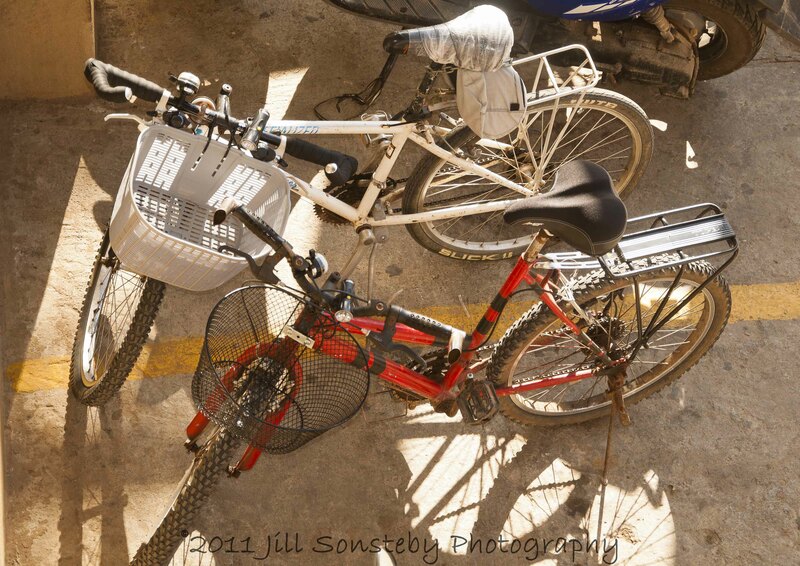 Besides, both bikes here in this picture were given to me and my roomy by friends here on the island. On our last trip home to the States we went to a bike store and picked up some accessories that would make grocery shopping (Topeak trunk bag), night-driving (headlight), horn-honking (disco-light-up bell) and parking (kickstand) effective. One more thing to note here that is very specific about my car, the bike. It only takes one passenger. Under no circumstances can it be ridden with two or more persons. That is not the case for 99% of the other island commuters here. This image below illustrates the average passenger count per mode of transportation. They don’t mess around getting where they want to go and taking as many people as possible with them! ← Trash as landfill. Some people’s way of life. I see room for at least two more small butts on that four-wheeler! 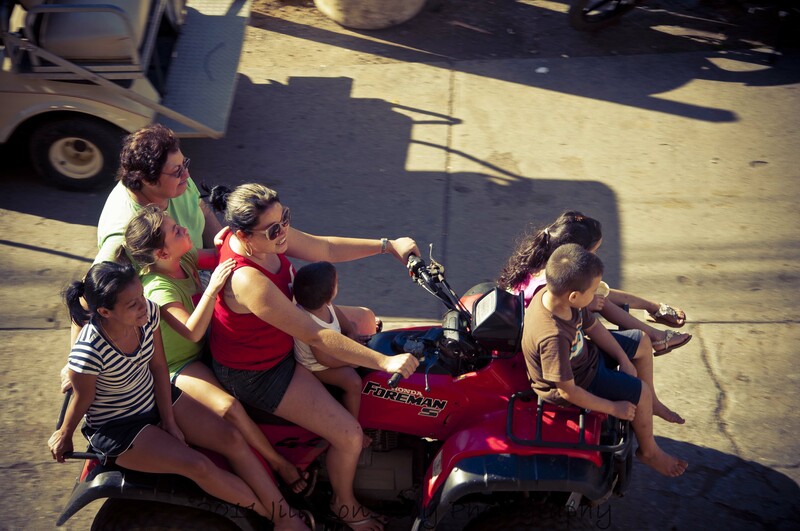 You gotta love how they roll in Utila on streets that were not designed for so many vehicles. I agree with Jeanne…there is more room on that four wheeler. You know what they say: there is always room for one more. I would have a hard time balancing on the bike myself, let alone trying to give somebody else a ride…ugh.